Energy Casino was founded in 2013 under a Class 1 licence from LGA, and is based in Malta. It offers some of the widest range of gambling games in its business. Its games may be played directly in a browser and therefore do not require any software to be downloaded as long as a Flash player plugin is installed. This easiness of access associated to a small learning curve to all of its games assures that less experienced users do not take long to engage with high-quality entertaining games and that advanced ones do not waste much time in the preliminaries. Its recurrent promotions contribute to making it a leading online casino brand. It should be mentioned that Energy Casino’s games can also be easily navigated and also played on mobiles, setting it apart from many of its competitors. If that was not enough to attract new gamers, there is the additional incentive of being able to buy T-shirts for “Winners”, Zippo lighters, audio kits, summer cruises in Malta and many other uncommon prizes through using EnergyPoints. Surprisingly, its webpage can be accessed in a mouth-opening number of seventeen languages. As a customer with this casino you can expect some energy free spins sometimes. To start it off they very often offer some free spins directly on registration for the new players. These free spins can usually be used on some of their Net Entertainment games, which they are starting to have a big selection of. There is also a promotion section that can be found on Energy Casino. This is where you usually can find out information about on-going free spins promotions on Energy casino. There is usually something fun going on each month. They don’t have as much free spins promotions as some casino brands, but it’s still decent. 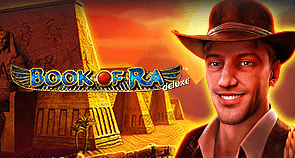 Regarding their welcome deposit bonuses we have usually not seen that much free spins involved. It is more common that they do a cash match bonus. However this is something they hopefully can add in the future. Energy Casino offers a wide array of fascinating games for all sorts of players. Considering that its portfolio is developed by the three major international gaming software companies – Novomatic, NetEnt and Microgaming, it should come as no surprise that the very best experience can be offered to the players. Some of the most popular names include Lucy Lady’s Charm Deluxe, Book of Ra Deluxe, Gonzo’s Quest, Jack & the Beanstalk, Avalon II and ThunderStruck II, just to name a few. There are slots, video poker, classic table games (blackjack, roulette and baccarat) and many other types of games that through extraordinarily good graphics and sound take its users through a gameplay experience that rivals that of real life casinos. All of these games may be played for money or for free, which is common for users who want to get a feel for the game before engaging with it on a higher level. There are over two hundred games available and twenty-two of these are jackpots with incredibly high numbers at stake, which have made and will surely continue to make big winners. The games have impressively low loading times and can be selected from a games lobby that arranges the gaming list according to the genre of preference. Furthermore, many tournaments are organized for those thrill-seekers looking for bonus cash while facing a new facet of online gaming. A wide variety of paying and withdrawal methods exist for additional convenience for its users – credit/debit cards, e-wallets, pre-paid cards and bank transfers: Visa, MasterCard, Skrill, Neteller, Qiwi, Moneta, Abaqoos, Ewire, eKonto, WebMoney, Yandex, Paysafecard, Dotpay, Envoy, Monetarru, Przelewy24, Euteller and Trustly are accepted. Any help, doubts or queries regarding the user experience, namely those related to how to play one specific game, the current campaigns and accounts, may be quickly clarified through customer service by phone, chat or email 24 hours a day (live). Moreover, Energy Casino is open to receive complaints and suggestions, to improve their user experience and overall service. English, Swedish, Finnish, Norwegian and Russian is spoken by their staff. Gambling in a responsible manner is advocated and consequently a number of measures are offered for its clients so to prevent addiction. Setting limits on deposits/wagers and losses/session time, and self-excluding for a definite period of time are some of its suggested methods. With its fantastic offer of games for all tastes, unusually good graphics and sounds as well as an exemplary customer service, Energy Casino is a casino that any gambling player ought to look into. Very seldom can one find such entertaining casinos that offer such easy methods of payment. With three of the best software developers around, and with ever-improving user experiences, Energy Casino is sure to keep attracting players for years to come.